Our range of Safety Curtains includes traditional Solid Fire Curtains and Brail Safety Drapes. In addition to designing, manufacturing and installing these Safety Curtains we are also able to provide maintenance and repair services. 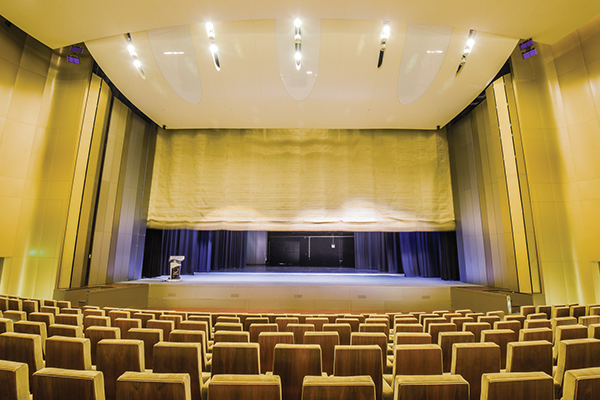 Solid Fire Curtains prohibit the passage of heat, flames and smoke from the stage area to the auditorium by being lowered in the event of an emergency, allowing the audience time to be safely evacuated. They are manufactured using special fabrics that can withstand extreme temperatures and physical stress. For stage areas with limited height over the Proscenium Arch, our Brail Safety Drapes are an ideal safety solution and fold up concertina-style and are lowered quickly using one of our motorised winches. A revolving stage is used for scene changes and shifts in performance by housing 2-3 different sets on a turntable which revolve before the audience. Our Traversing Lighting Bridges are engineered for venues which have limited access to overhead lighting and stage equipment. Scaffolding and ladders are not always practical as they are time-consuming and not always the safest option, but bridges and gantries provide a perfect solution as they can be manufactured to move horizontally over the stage or even vertically if required, allowing for access to the hard-to-reach areas within your venue, stage or auditorium. The Lighting Bridges and gantries we supply are bespoke items designed to suit your requirements and available space. 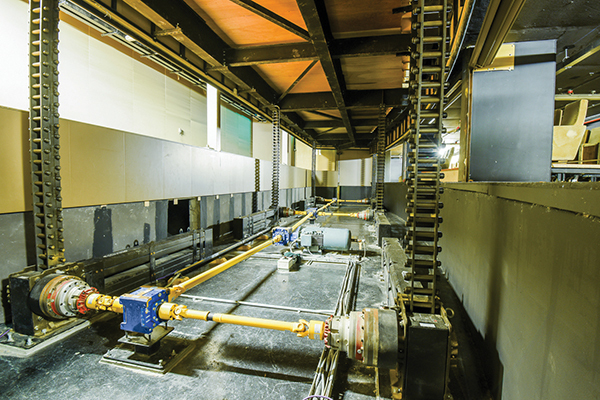 We can supply a range of Control Systems, from a simple push button for a tracking system, to the show automation control for a Power Flying System.